1. What kind of animal are they holding? 2. Would you like to hold it too? Why or why not? 1. Name some exotic animals/pets that you already saw. 2. In your opinion, is it safe to own an exotic animal as a pet? 3. 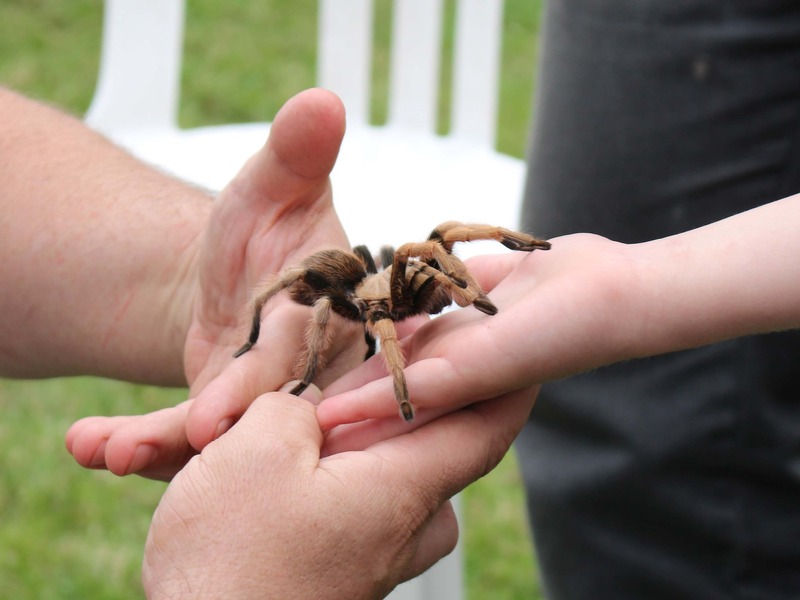 If you could own an exotic pet, what would it be and why? 4. Which do you prefer to own? A snake or a scorpion? 5. Is there an exotic animal/pet that you’re afraid of? If yes, what is it? 6. What exotic animals/pets does your country have? 7. If you could give an exotic pet to your closest friend, what would it be and why? 8. What exotic animal/pet describes your personality? example: Frogs that has a bright-colored skin are exotic and dangerous to humans. example: His favorite exotic animal is spider because it describes his mysterious personality. example: There are many snakes, spiders and frogs that are poisonous to humans and to other animals.